Is Tony Soprano really dead? Well, one thing is for certain – you can now get hold of his clothes in a new charity auction. 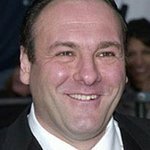 James Gandolfini, who starred on the hit HBO series The Sopranos for six seasons, is selling off 24 outfits, including the button-down blue shirt he wore in the opening credits and the bathrobe he donned to fetch the morning newspaper. The lots will go under the hammer in a Christie’s pop culture auction in New York on June 25, with all proceeds going to a charity that helps wounded U.S. troops. Also up for grabs are a selection of costumes worn by other “Sopranos” characters, including Junior Soprano, Paulie Walnuts and A.J. Soprano, although the proceeds for these items will not go to charity. The beneficiary of Gandolfini’s wardrobe is the Wounded Warrior Project, a nonprofit group that assists severely wounded soldiers in Iraq and Afghanistan. Estimates for the costumes start at $500, and Gandolfini’s items are expected to reach up to $36,500. More information can be found at www.christies.com.